Cranes are important plant and machinery used for lifting of materials and equipment in almost all types of industries, from construction sites to manufacturing and from airports to seaports. Various types of cranes are deployed in these workplaces depending on the type of material or equipment to be lifted. Cranes can be mobile on vehicles or fixed on gantries. 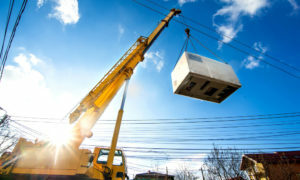 It is essential for businesses to keep the cranes in good operating condition with zero downtime so as to not affect the operation of the business. This can be ensured by carrying out regular inspections and testing of the cranes to be conducted by qualified and authorized inspectors to ensure certification and compliance. SLC is a Riyadh based company offering reliable and accredited inspection services and certification for various types of cranes including mounted, tower and overhead cranes. Using up to date standards and regulations, we conduct comprehensive inspections that help to ascertain the condition of your lifting equipment, identify potential faults, manage risks and ensure compliance with the safety regulatory requirements established by the Occupational Safety and Health Administration (OSHA) and other regulatory organizations. Our team comprising of qualified engineers and consultants have many years of experience directly related to the maintenance, servicing, repairing, and functional testing of cranes and all its various components. We are committed to providing a safe working environment and therefore ensure that all inspections of lifting equipments are comprehensively documented for safe operating practices and to facilitate compliance. We offer weekly, monthly, quarterly and yearly contract options depending on company requirements. We also offers Crane Certification in Riyadh, Saudi Arabia. Let us at SLC, help meet your crane certification requirements and keep your cranes and other lifting equipments be up to industry standards.